Year 3 have been working hard during their science lessons to design a new garden for the Calthorpe Estates 300th anniversary. Five other local schools are taking part in this competition and the winning design will be announced in September. The children designed individual gardens and then the best ideas from each class were added to class ‘mood’ boards. 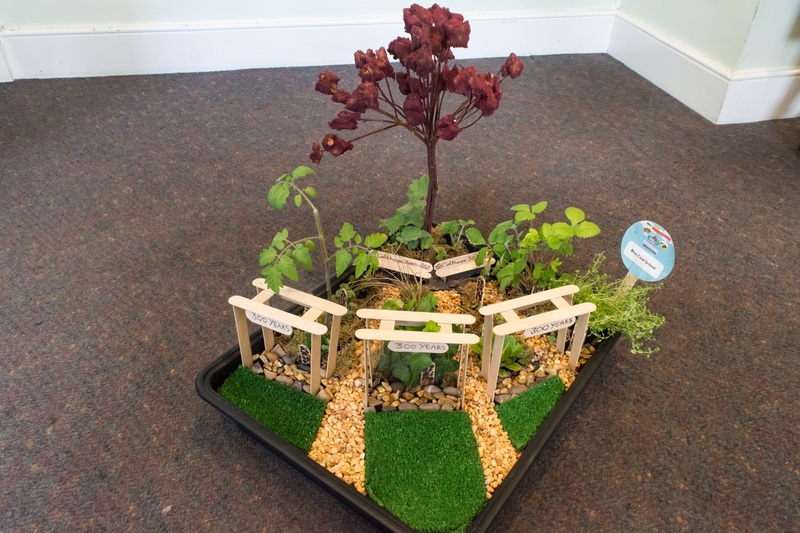 Finally, the best ideas from the whole of Year 3 were discussed and turned into our miniature garden. The winning design will be turned into a real garden by top Landscape architects as part of the redeveloped site on the Hagley Road, just approaching Five Ways. The children came up with some fantastic and very imaginative ideas that were great fun! They eventually compromised on some of the more elaborate ideas and made sure that it was a garden that was for everyone, with easy access for wheelchairs and pushchairs, plenty of Bug Hotels and a place where the paths radiate from the bottom of the existing tree to provide sunshine in the shade. Congratulations to all of Year 3 and their science teachers for their contributions to the final design. Who knows…you may soon be able to walk in The Blue Coat Year 3 Garden. We will let you know!